Let Artisan Movers of Maryland Move You! We are a High Level Maryland Moving Company. Looking for High-Quality Moving Companies in Maryland? customer service that only Artisan Movers provides. 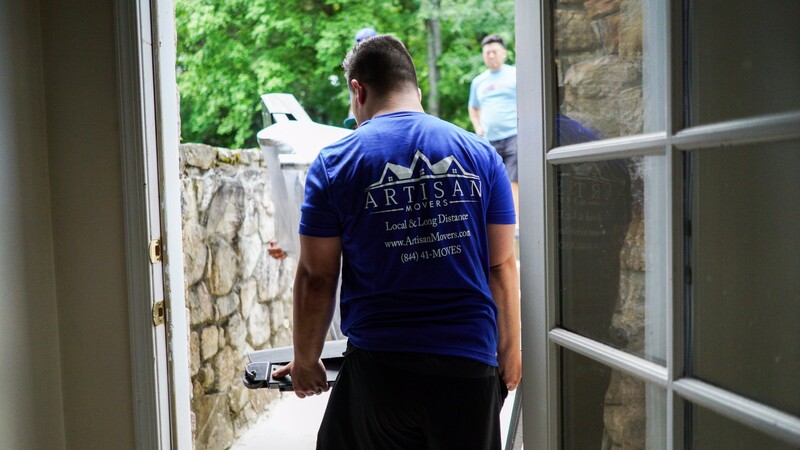 At Artisan Movers, we consistently put our customers first–and when you work with us, you’re sure to notice the difference. We’re stationed in Maryland, but our services don’t stop there. We extend our high-quality moving services to the entire metropolitan area, including Maryland, Virginia, and D.C. When working in an area packed with over 6.1 million residents, we understand the needs of people like no other. To us, your furniture and belongings aren’t just “stuff” that needs to be shipped from one house to another. We understand that each piece of furniture has its own history, its own story to tell. And we treat your belongings with a careful reverence that ensures that everything in your house is delivered in one piece. As a moving company, we understand that moving can be stressful for a lot of reasons. But if you’ve got a team of Maryland movers that you can depend on, it eases the stress of moving and enables you to look forward to living in your new home. 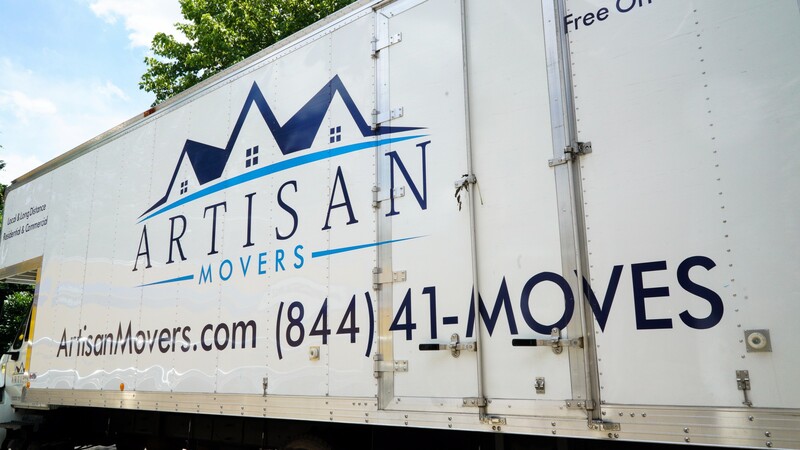 At Artisan Movers, we don’t see our clientele as a faceless group of customers–we see each one of you as an individual human being, with your own wants, needs, and desires. We take the time to work with you, ask questions, and find out what you need to make your move as hassle-free as possible. Need special packaging for a piece of furniture? Concerned about that antique lamp on the top floor? Whatever you need, it’s our mission to listen and understand and keep working on the job until you’re satisfied. If you want more proof of our commitment, we’re fully licensed, bonded, and insured, guaranteeing that we’ll always be a safe and reliable workforce. Our employees are thoroughly vetted and go through a full background check and drug screening process. Our team is trained in the art of relocation. We understand that moving is much more difficult than it looks–anyone who’s tried to move a large sofa down a flight of stairs can attest to that! That’s why our workers receive full training on the art of moving large furniture, packing fragile objects, carrying furniture down the stairs, and more. In other words, we’re experts at what we do. We’ve got the skills to move your furniture as quickly and efficiently as possible, freeing you up to focus on other aspects of the moving process. In addition to our skills, we’ve also got the tools and equipment to make your move a safe and efficient process. We use state-of-the-art technology in our work, as well as those old-fashioned moving day staples like packing tape and cardboard boxes. But unlike the boxes that you might find at a store, we use only high-quality, professional grade boxes and totes that are engineered for stability and durability. And with the right type of packing material for every material and surface, we’ll treat your more delicate items with the care that they deserve. What Does VIP Treatment Mean? Receiving our VIP customer service means just that–we treat every customer with respect and importance. When you hire us, you won’t receive the usual “one size fits all” service that ignores your needs in favor of getting the job done as fast as possible. We’ll work with you personally to assess your personal goals, then do everything we can to bring those goals to life. To us, no job is too small or unimportant. If you’re worried about a piece of china, we’ll take utmost caution to make sure that china arrives intact. If you’ve got questions about the process, we’ll answer every question and concern until you’re completely satisfied. Our business is bringing your new house or business to life. And our friendly, professional team of workers are some of the best in the industry, bringing not only labor skills but excellent customer service that can’t be matched. 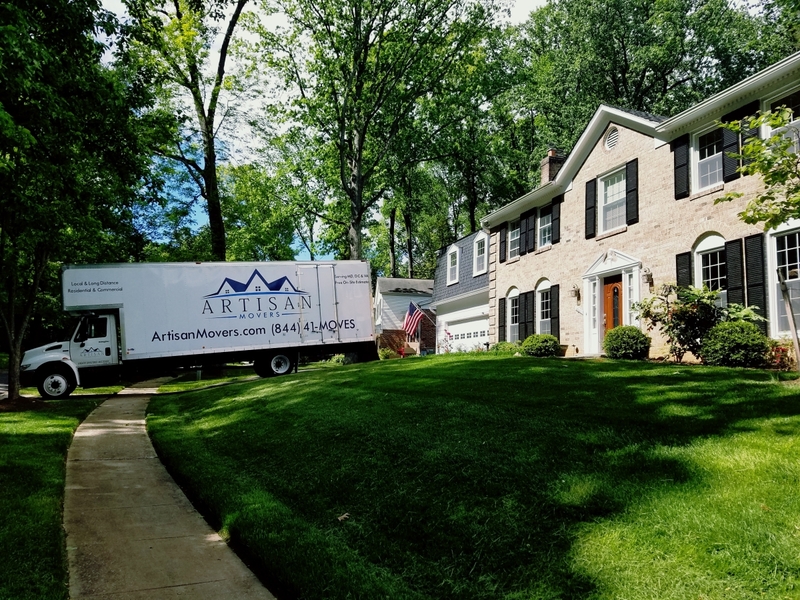 Unlike some other moving companies, Artisan Movers isn’t part of a large, impersonal corporate chain with no ties to the Maryland area. We’re a family-owned, locally-owned business that understand the needs of this great state and the surrounding areas. Our friendliness and approach-ability makes us a company that you can trust. Like you, we’ve lived here, worked here, learned here, raised our families here–and we’ve experienced our own share of the moving process. Now we’re dedicated to providing great moving services to you. Our office is based on Rockville, Maryland, but that doesn’t mean we don’t serve the surrounding areas. Need moving services in Virginia or the Washington, D.C. area? We’d be happy to provide you with the same great service that we offer to local clients. Just give us a call and we’ll discuss how we can make your next move a breeze rather than a chore. Got questions or concerns? We’re always available to help you through every step of the moving process, from the initial estimate to packing to shipping to assembly. Give us a call at [phone number] and see how we can work for you. As residents of Maryland, we’d be proud to have your business. We’re proud partners of Move for Hunger, a charity that delivers unopened, non-perishable food items to families in need. As you clean out the pantry, you might come across old spices, ingredients, canned food, etc. that you don’t think you’ll ever use. Why throw it away when you can donate it to local families instead? Just give us the food and leave the whole process to us–we’ll pack it up and ship it to the local food pantry. As some of the finest movers in Maryland, we’re prepared to offer our expert services to everyone who’s looking to relocate. Whether you’re a small family moving to a larger house, a new couple moving out of their apartment, a senior citizen who wants to be closer to their family, a college student moving back home, a business owner who’s relocating their company to a new location, or anyone else who needs local moving services, we’re proud to offer the best service for your money. Male or female, young or old, married or single, we’ve got the tools to offer a personalized, customized experience that meets your individual needs. We understand that moving can be expensive, especially for college students and new families that are just starting out. For this reason, we’re always direct and up-front about our prices. We’ll never surprise you with hidden charges or fees, or sneak in extra “services” that you didn’t expect. When you receive your quote, you’ll know exactly what you’re paying for. It’s part of our continued mission to provide excellent customer service that keeps our clients coming back every time they need an experienced team of movers. Is this your first move? Don’t worry–we won’t just show up at your doorstep and start packing your furniture! We’ll walk you through the process step-by-step so you know exactly how to make your move a success. Moving to a new house can be stressful, but it’s a lot less stressful if you know exactly what to expect. We’ll work with you to develop a clear, easy-to-follow plan that ensures that you arrive to your new house with eagerness and enthusiasm, ready to start the next chapter in your life. Before we begin, we’ll evaluate your house to give you a thorough estimate so you can make plans ahead of time. We won’t surprise you with any hidden charges or special services–we’ll be completely up-front from the beginning so you know exactly what you’re paying for. When the day comes, you can count on us to follow through with the plan and make the process as quick and easy as possible. We always arrive on time–no late visits, no waiting around and wondering when we’ll show up. We take your busy life seriously and always arrive right when we’re scheduled. To move furniture effectively, you need much more than a large truck and a dozen cardboard boxes. We’ll come ready with a wide array of materials to make sure that your furniture is safely packed and ready for shipment. Worried about that antique china in the cupboard? Don’t worry, we’ve got the materials to pack it away firmly and safely so it won’t be jostled during shipment. Need extra protection for your furniture? We’ll wrap it up to keep it safe and secure during the delivery. Our boxes are durable and professional-grade, with various sizes to accommodate just about everything in your house. And if you’re worried about scuffing up the floors, we’ll provide extra protection to make sure that everything is clean and scuff-free before the new owners arrive. When you work with this Maryland moving company, you can rest assured that the delivery process will be just as secure as the packing process. We’ll load each box carefully into the truck to ensure that nothing gets damaged, then secure everything in place. You won’t have to worry about your furniture rattling or sliding around during the delivery! Our vehicles are fully licensed and inspected, and our drivers are some of the best in the business. We’ll take every step to make sure that your furniture arrives in one piece. Moving your business, office, or store to a new location? No problem! We also extend our moving services to commercial locations. As a company, we understand how important your business assets can be. To the ordinary person, an office chair might not seem like an important item–but to a business owner, each piece of furniture is an important and valuable investment. We’ll treat every item in your office with the same reverence and care that we’d have for an antique family heirloom. Our workers have the skills to make your relocation safe and stress-free, so you can get your business back up and running in no time. In addition to the move itself, we understand that you might have some concerns about preparing your staff members for the move. We’ll work with your staff to determine the best options and make sure that everyone is fully informed throughout the process. If you have questions along the way, we’re always available to help you resolve issues and keep the transition moving as smoothly as possible. Throughout the process, we’ll always be ready, on-time, and equipped with the skills and knowledge to make your relocation a success. We understand that professionalism is one of your top concerns, and we reflect this concern in our own ethics and values. As a locally-owned business, we also understand the importance of keeping your files safe and secure. We’ll take steps to ensure the complete security of your confidential files throughout packing and delivery. In addition, we’ll clearly label and organize the boxes so you can keep track of your files and equipment. We’ll take special care to handle delicate technology and equipment to eliminate the possibility of damage during the shipment process. Are you running a large office or business? What about a small coffee shop? To us, size doesn’t matter. We can transport your equipment no matter the size of your business, whether you’re running a branch of a worldwide company or a family-owned store with only a few employees. Our team is prepared to tackle any challenge head-on, with solutions tailored specifically toward your type of business. We might be stationed in the D.C. metropolitan area, but that doesn’t mean that our services end here. Moving out of state? We’ve got the tools and expertise to take you wherever you want to go, whether it’s one state away or miles across the country. We’ll eliminate the hassle of trying to move everything yourself, offering our expert knowledge and state-of-the-art equipment to get your furniture safely delivered to its new location. Coordinating a long distance relocation can be difficult, especially if you’re a full-time mover. When you work with us, you won’t have to worry about it. We’ll fully plan and coordinate your delivery according to your schedule, with our expert staff available to answer your questions and concerns every step of the way. You won’t have to worry about shipping your furniture across the states–leave it to us, and all you’ll have to do is show up to your new house. In addition to this convenience, you’ll also enjoy the same great service that we offer to our local clients. We’ll pack your furniture carefully and take every step to ensure that delivery is safe and secure. 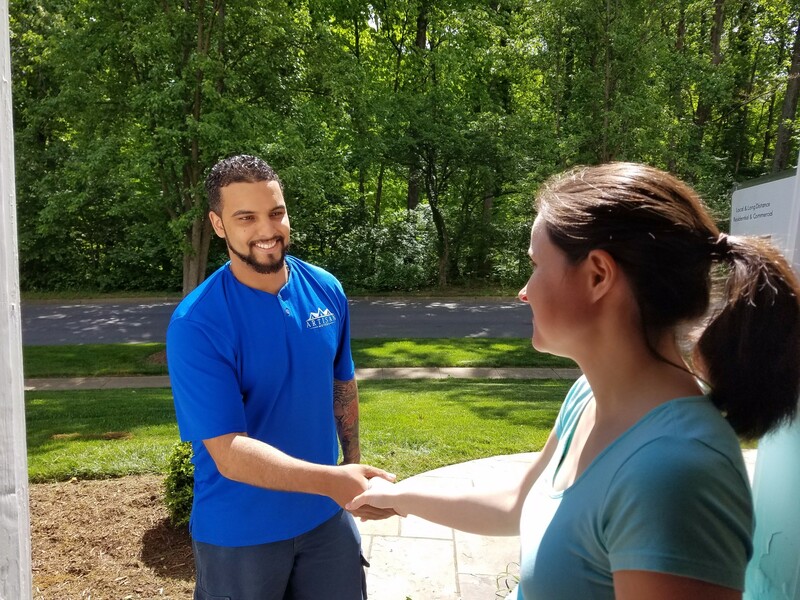 When you work with this team of Maryland movers, you won’t have to worry about any unpleasant surprises upon arrival, like scuffed furniture or broken dishware. Your furniture will arrive in the same great condition as when we packed it, no matter how far we travel across the country. Packing might sound like a simple task, but it can be difficult when you’re dealing with fragile objects or oddly-shaped or bulky furniture. And when you’re trying to pack every item in your house, it can be quite time-consuming! Fortunately, we offer expert unpacking and packing services to make the process fast and efficient, rather than a tedious chore. Our packing materials are some of the finest on the market, ensuring the safety of your delicate and precious items. As we pack up your furniture, we take the security of each item into consideration. We use just the right amount of wrapping and cushioning to protect your belongings during the delivery process. A set of plates might arrive shattered if they’re not secured properly, so we take every step to make sure that they arrive whole and intact. We use special packaging tailored to each item’s individual needs, and make sure that the boxes are neither too cluttered nor too loose. To us, there’s no such thing as being too cautious. We handle every object with care and respect, from a large pillow to a dainty china plate. When your furniture arrives at your new house, we also offer unpacking services to make sure that your belongings are unpacked carefully and efficiently. We can also arrange and assemble furniture to make sure that everything’s in its proper place. In other words, we won’t just drop off the boxes and drive away. We can help you start setting up your house or office so that you can get back to living (or working) as soon as possible. And if you’d prefer to pack or unpack certain items yourself, just let us know and we’ll give you the materials to package your items safely and securely. Want to Pack Your Own Furniture? If you’d prefer to pack your furniture yourself, we’ve got the materials to ensure that your furniture makes it to your new house in one piece. No need to rely on cheap cardboard boxes or low-grade plastic totes–just contact us, and we’ll get you equipped with the same professional-grade materials that we use for our own services. We’ve got boxes of every size, including wardrobe boxes, as well as soft, cushioning materials that secure your furniture and keep fragile items from rattling around during the delivery process. Regardless of whether you pack your furniture yourself or not, you’ll be entitled to the same great service that we offer all our customers–detailed plans and coordination, thorough estimates, on-time arrival, safe delivery. It’s our mission to help you every step of the way, whether you’d prefer to get more involved or leave it to us. We promise that we won’t disappoint you. Is your new home not ready yet? Still waiting for the finishing touches on the new office building? Whatever your situation, we offer full storage services to keep your belongings safe and secure while you wait for the house of your dreams to be completed. Our storage options are fully secure, controlled, and monitored, with extra security measures taken to ensure that your furniture isn’t going anywhere–at least, not until you want it to. When stored improperly, furniture can become a breeding ground for mold, mildew, and rot. Rust and water damage can ruin furniture, as well as infestations of rodents or termites. For these reasons, our storage facility is completely climate controlled. Your furniture will never get too hot or too cold, and the air is clean and dry, with minimal humidity. We watch the temperature carefully to ensure that it never slips even a few degrees out of place. Whether it’s the middle of summer or the dead of winter, your furniture will remain clean and dry. In addition to climate control, we take extra steps to prevent the infestation of rodents, insects, and other pests that can damage your belongings. Our facility is fully monitored with state-of-the-art technology to prevent theft and break-ins. We employ only the most trustworthy staff that undergoes a full vetting process and background check. We understand the importance of security when it comes to home furniture and office equipment, and it’s something that we don’t take lightly. or just a few extra items, we’ve got the space to keep your belongings safe and secure. Choosing a storage facility is a big decision, and we’ve taken every precaution to give you confidence that you’ve chosen the right one. Whether you’re moving a small house or an entire business, moving can be a long and sometimes confusing process. If you’ve got questions, feel free to browse our FAQ and our website at your convenience. Don’t see the answer here? Give us a call or send us an email at any time. Q. What should I do if my moving date changes? A. If your moving date gets pushed back, simply give us a call and we’ll make arrangements accordingly. We’ll work with you to find the right date for your schedule. Q. What should I do if my new house or business isn’t ready on time? A. If your new location isn’t finished as early as you expected, contact us to discuss our storage options. We offer a clean, monitored storage facility that allows you to store your furniture and equipment while you wait for your new location to be completed. Q. Can I still use your services if I’m moving out of state? A. Of course! We offer delivery services to any location across the 50 states. We work with residents of Maryland, Virginia, and Washington, D. C., but your new location doesn’t have to be in one of those states. Q. What happens if my furniture is damaged during the moving process? A. We don’t anticipate any damage during the process, but if it does happen, we offer insurance options to help cover the cost. Q. Can I pack my own furniture, or am I required to use your packing services? A. You can pack (or not pack) your furniture at your discretion. Whether you’d like to pack everything yourself, pack a few items and leave the rest of us, or allow us to pack everything in the house, it’s completely up to you. Q. What happens if my move is cancelled? A. If you’re no longer moving, contact us as soon as possible. We’ll discuss what to do next, with your options depending on where we are in the moving process. Whatever the case, we’ll work with you to make sure that everything gets resolved in a timely manner. Q. How much furniture can I store in your facility? A. You can store as much furniture or equipment as you like in our facility. There is no minimum or maximum amount. We can store everything from a few chairs to an entire house’s worth of furniture. Ready to Hire one of the Best Moving Companies in Maryland? Ready to pack up your furniture and get started on your newest adventure? No matter what you’re looking for, we’re here to meet you every step of the way. We can relocate homes and businesses, pack just about every type of furniture, offer you packing materials and storage options, and transport your furniture across the country. Essentially, we’re a “one-stop shop” for all your moving needs. And with our exclusive VIP service, you won’t have to look anywhere else. 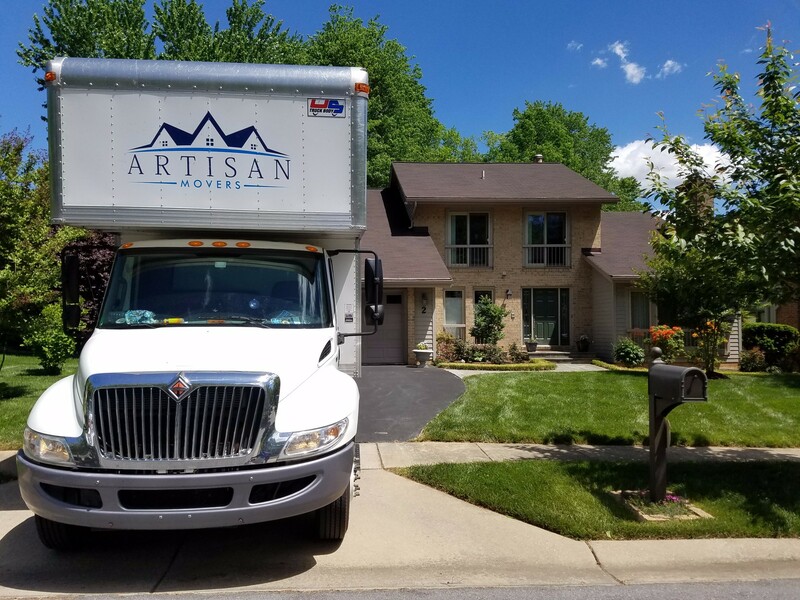 If you’re ready to get started, contact Artisan Movers in Rockville MD for a quote. We’ll work with your schedule to choose the right date and time for your assessment, then perform a thorough inspection and ask questions so that we can assess your needs. Once we’ve decided what you’re looking for, we’ll discuss a price and decide where to go from there. Throughout the process, we’ll be there to answer any questions and concerns that might arise. We’ll give you everything you need to make sure that you know exactly what to expect on moving day. Whenever you need us, don’t hesitate to call. We’d be happy to work with you.